I won’t look at you, because no one calls me that and I’m not used to it. I’ll look at you oddly because it’s so weird hearing my full first name. I’ll look at you in a terrified manner because the only legitimate reason a person has to call me “Megan” is if I’m in trouble. With that said, I’m Meg :-). So, as you can guess, I’m totally into beauty, fashion and feeling good. I mean, they all kind of work together, don’t they? This doesn’t make me a vain person though. I love people as much on the inny as I do on the outty. So, What’s My Problem With Body Hair? Most girls think body hair is gross, and I’m one of them. So I want to help others learn about the ways they can shed (get it?) their body hair. 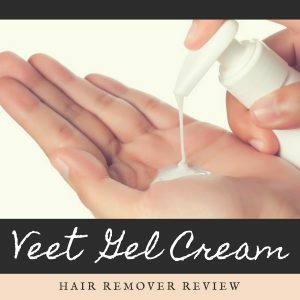 On this site, I provide reviews for products including hair removal creams, epilators, waxing, shaving and maybe even laser. Who knows. We’re running an all out war on body hair here, so why not? No, not like that. I of course want my readers to have a full head of hair! This! Just like this. You’ll feel like them! I want everyone to feel beautiful, and that’s what I hope this site does. I hope it helps you feel more beautiful. Every person deserves to feel beautiful and not self-conscious. I hope the information I provide helps you make informed decisions about how you truly want to look. I believe that everyone can look truly beautiful. It doesn’t matter what your body shape, height or hair color is. You can be beautiful. A lot of people don’t try simply because they’ve been told they can’t. A lot of people don’t try because the magazines, movies and television make them think that because they don’t fit a specific mold, they might as well not try at all. There’s no room for that kind of thinking here. You can reach your maximum beauty potential and I plan to help. I hope you’re ready, because I certainly am! Let’s get this going. Thanks so much for wanting to learn more about me. I hope I’ve made it a bit fun.